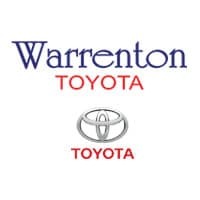 Come by Warrenton Toyota in Warrenton, VA for amazing Toyota lease offers! We are proud to provide drivers around Prince William and Fairfax, VA, with Toyota lease deals that fit their budget. Whether you’ve had your eye on a stylish Toyota Camry, adventurous RAV4, family-friendly Sienna, or other new Toyota model, we have the lease offer to get you into a new Toyota at a price you’ll love. While purchasing a new Toyota model has its own benefits, leasing a new Toyota has many perks of its own. With monthly payments for a leased vehicle typically being lower than that of one you’re paying to own, we know you’ll be happy to keep more money in your pocket each month. A lease is also a good option when it comes to maintenance and repairs. When you enter into a lease, the manufacturer typically pays for the service of that vehicle. This not only benefits you, but also helps the dealer ensure the vehicle is receiving the proper service and care needed to resale as a used or Certified Pre-Owned vehicle. Finally, and arguably best of all, you have the freedom to get into a newer model once your lease is up. This way you can trade up every few years without hassle. Get the Toyota lease process started today by filling out our online finance application. The knowlegeable sales team at Warrenton Toyota can help you find the perfect Toyota model to best fit your needs and current budget. Once you find the perfect new Toyota, they’ll work to get you the best lease offer possible! Drivers around Culpeper and Linden, VA, can trust that they’re in good hands when leasing a new Toyota at Warrenton Toyota.